A Letter to My Cat Book Release Giveaways!! The day is almost here! 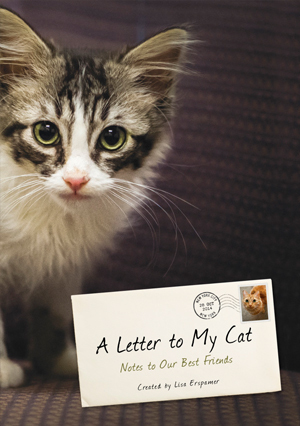 A Letter to My Cat hits shelves on October 28! (Have you pre-ordered your copy yet?) We are counting down the days and celebrating the whole way through by giving away some fun cat swag to share with your furry family members! 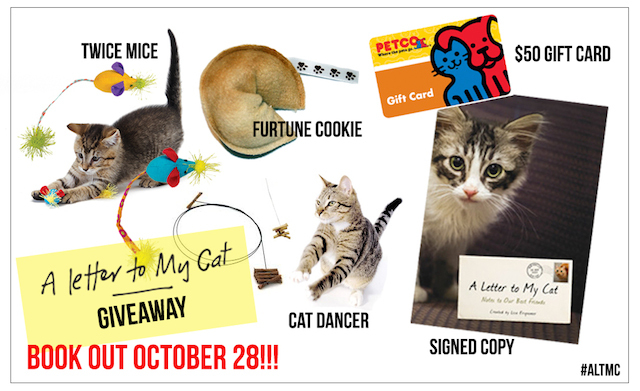 We’re giving away a prize package each day (from 10/24 – 10/28) filled with Twice Mice toys, the original Cat Dancer, and Furtune Cookies, a signed copy of A Letter To My Cat and a $50 gift card to PETCO!! We will randomly select a winner a day and announce them on our social accounts from 10/24 – 10/28. Good luck and check back on October 28 for an even more exciting announcement!! 2 Responses to A Letter to My Cat Book Release Giveaways!! I didn’t learn about this until today. Guess I was too late for any drawings. I have great kitties and love to take pictures of them and share them.